God is so faithful to keep us challenged if we will allow Him to! Since I've been here in Costa Rica, I have gotten emails of encouragement about adjusting to the fears of crime and security. I didn't mention specific fears I'm working on, so it's an excellent assumption in a city where the police have stopped us to tell us to get out of the neighborhood. Most folks do not feel very secure if they're watching, reading or listening to the daily news. Sometimes I wish I had the "usual" fears. We all have lack of faith in areas of our daily walk but feeling safe isn't one of mine. Walking through horrible neighborhoods, making sure the doors are locked in house or car, or traveling on country and city roads without a cell phone (almost unheard of these days) doesn't cause me any concern. God watches over me and protects me. The Bible says so and that's that. Don't I wish it could be so easy for all areas of life. My issues are things that aren't quite so clear. But then, that's why they are issues, right? I grew up with parents who had phobias of grime and kitchens and bathrooms. Eating out, etc. Not the bacteria phobias that many folks have who can wipe everything down with anti-bacterial wipes or bleach and make it all okay. To me, all those chemicals are as bad as the grime. With phobias being an irrational fear, it's hard to come up with a rational definition. Most of the people around me here get the creepies when I talk about going to the jungle, even the ones that live in the country, not just the students at the school. The school didn't have a transport option to the place I wanted to go. 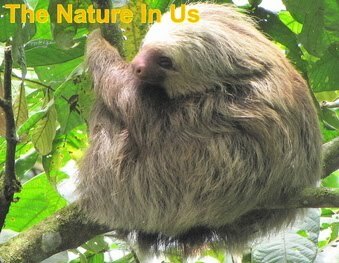 When I mention where I want to be, people tell me about snakes and huge insects and malaria and other health problems. I can relate to those two fears since I was terrified of insects (like my mother) until God took that away. When we moved "to the woods" I wanted to love ALL of His Creation and in little time the fear left by a strong desire to love what He made. 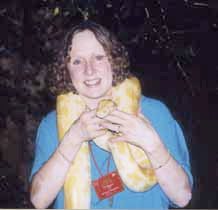 With snakes too, although I still don't know how to pick one up, but I love holding them if somebody hands one to me. Which is what happened in the photos on this post. Love covered all fears. Love covers all fears, so I just have to find something to love within the realms of the phobias, like I did with insects and snakes, right? Focusing more on loving people could maybe do both? I know God will direct! I used to be terrified of the dark from an experience I had as a child and God took that away the first year of salvation. I have a couple of friends who can't do swinging bridges and for me it's like being part of a tree swaying up there in the treetops. Isn't it awful how we want to trade our fears and talents for somebody else's? Comparison is NOT a good thing. It's just a process of switching the brain around, so I know there's a way to get beyond it. I see people all around me not even noticing what gives me the creepy crawlies, so it's a great visual picture of being able to do it. I know until I conquer all fear I am not all of who I am to be. Fear is sin and I believe it affects our health, joy, peace and very life on earth in ways that we do not see. Thanks for all your encouragement and for sharing your own fears. Together we will overcome. Love does cover all. In His love all things are possible.